First, we hope that you were fortunate enough to attend the Mountainfilm On Tour which traveled to New Bedford from Telluride, Colorado. 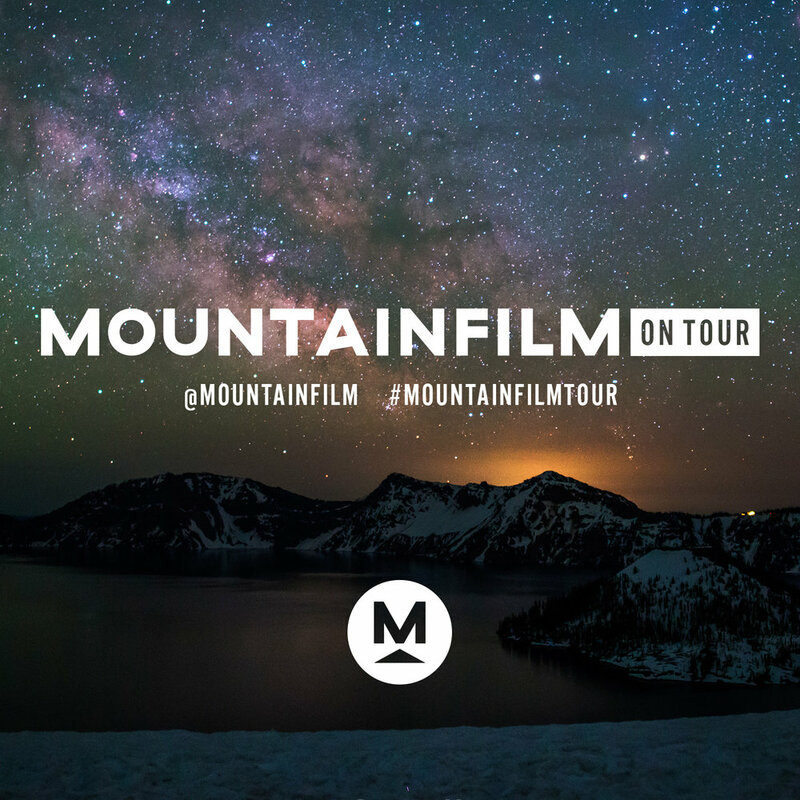 The Southcoast was extremely fortunate to have Mountainfilm come to our area this past weekend during it's tour. Each short film sent a powerful message on the human spirit and the environment. I was so impressed and cannot WAIT until next November when the tour comes back. Thanks to Susan Sargent and the other members of the Marching Forward Environmental Huddle for this major coup! Great turnout, beautiful and thought provoking films, thanks to Susan and the other members of the Marching Forward Environmental Huddle. We're already planning for a repeat next year on November 3, 2018! Since his appointment as special counsel in May 2017, Robert Mueller moved swiftly and thoroughly to uncover activity related to Russia's interference in our election. We discovered yesterday that Trump's foreign policy adviser, George Papadopoulos, was arrested in July 2017 and he agreed to a plea deal after admitting to making false statements to FBI investigators. We also discovered yesterday that both Paul Manafort, Trump's campaign chairman, and Rick Gates, a business partner of Paul Manafort, were charged with COUNT ONE: (Conspiracy Against the United States), COUNT TWO: (Conspiracy to launder money), making false statements, and a multitude of other criminal acts connected to their work with a Russian puppet political party in the Ukraine. As a result of their last meeting and in response to the proposed tax bill in Congress, Marching Forward's Federal Budget and Tax Policy Huddle composed a letter to our elected officials. You can read a PDF of the letter by clicking on this link. There are two important races - Virginia's governor race and Alabama's senator race - happening in the near future. While Marching Forward doesn't endorse candidates, MovingOn seeks volunteers to speak with voters in Virginia. Sign up for your shift at https://www2.democracyforamerica.com/events/dfadialer/2017 . Last week, Republicans completed Phase 1 of their #TrumpTaxScam. Both chambers have now passed budget resolutions needed to unlock the reconciliation process (the same process they tried to use to ram zombie healthcare through, read about it here), allowing them to pass this dumpster fire of a bill with just a simple majority. 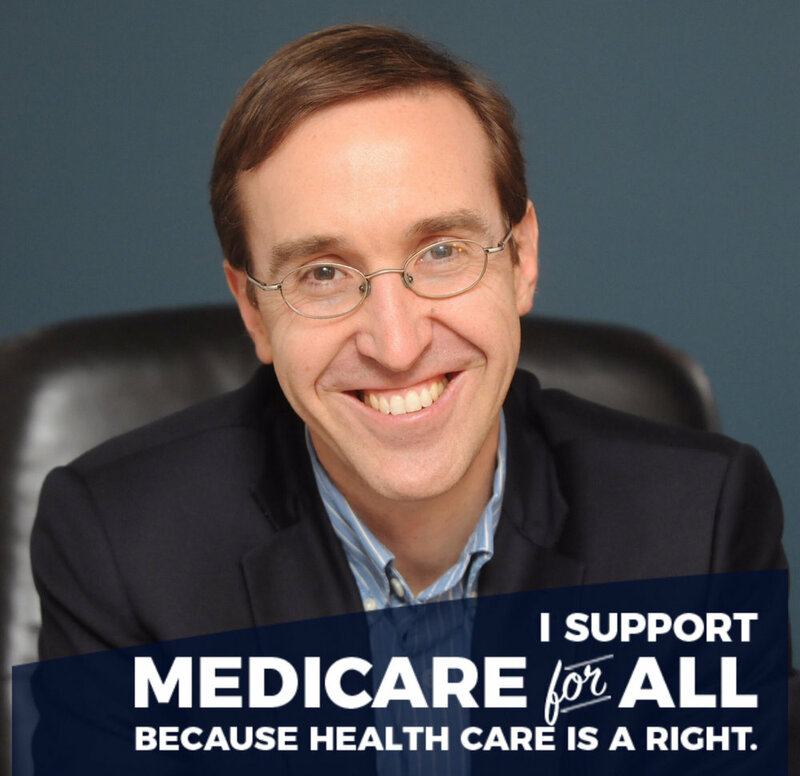 I support Medicare for All because health care is a right. On November 8th, from 6:15pm to 7:45pm, our Healthcare Huddle hosts Michael Rocha, MD, cardiologist and community speaker on a wide variety of wellness and illness issues, in collaboration with Marching Forward will be on hand to speak briefly and answer your questions on healthcare as part of the Lown Institute's Right Care Action Week. He explains: "We need to explore ways to provide health equity. 20% of GDP is going to health care which is over 3 trillion dollars and we aren't getting the return on investment. People can't afford premiums, deductibles are going up, and we aren't getting healthier as a nation. We need to understand why. We need to do something about it. This is not about politics, this is not about profit, this is about people. This is about the people that I see as a doctor. We as physicians have an oath and an obligation to be part of the discussion on how to improve the health of our community and the health of our nation. Join me on Nov 8 for the conversation." Join us for a discussion and exploration of Healthcare for All. What healthcare systems would you prefer to see implemented? On November 12th, the Massachusetts arm of Indivisible holds a conference at the Worcester State University. As described on their website, "This conference is designed to help you up your activist game. Coming one year after the disastrous election of 2016 and one year before the critical midterm election of 2018, this conference is focused on skills training, getting ready for the 2018 elections now, and how Massachusetts can enact policies in opposition to those of Trump. We are bringing together Indivisible members as well as those from allied groups to collaborate and network, as well as to teach practical activism skills." There will be a Healthcare Huddle on December 4th. More details about this event will be posted on our calendar within the next few weeks. In December we will host a meeting to review, discuss and form groups around three key strategic missions for 2018 Political Actions. We plan to focus our energies and actions toward 2018 elections both locally, regionally and nationally.